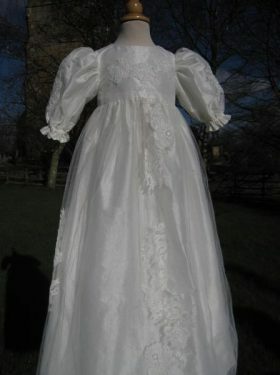 If you want your little girl to look like a princess on her big day, then chose a silk gown from our range. 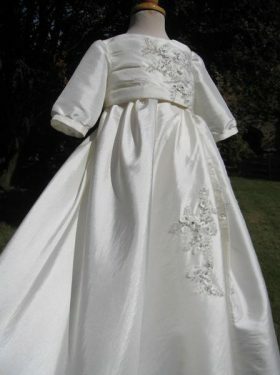 All are created in 100% pure silk dupion or habotai. 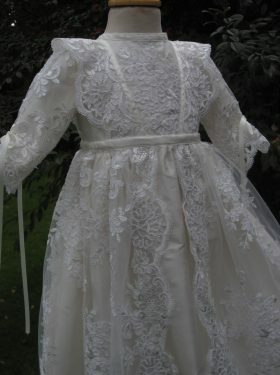 All are luxurious and trimmed in the finest French or Swiss laces. 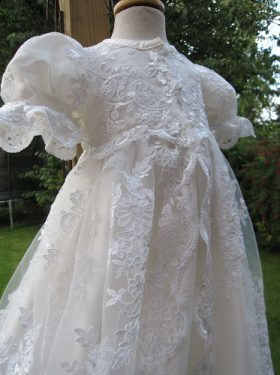 An heirloom to treasure forever. 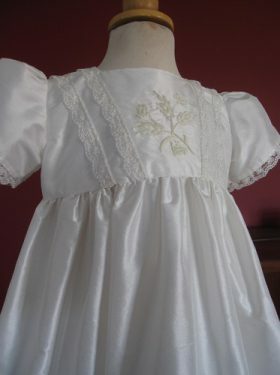 Little Doves is pleased to offer a variety of silks for you to choose. 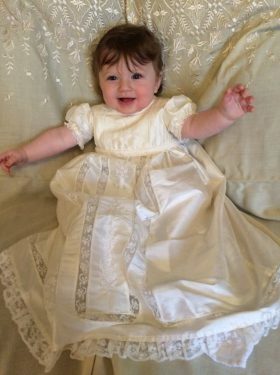 Silk dupion has a lovely finish and can be either hand woven as shown in the Josephine Christening gown or power woven as shown in the Lewis Christening Gown. 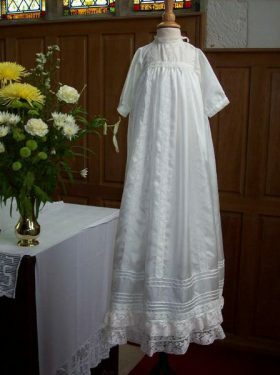 The difference is the handwoven dupion has a thicker slub and the power woven is smoother with less defined slubs. 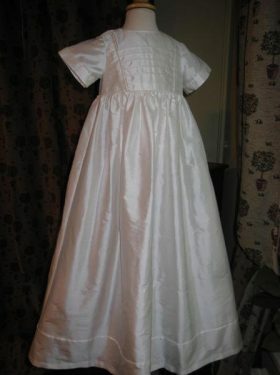 We also have acquired some beautiful Chinese dupion in a softer weight which is proving very popular. 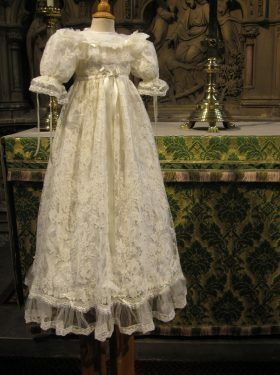 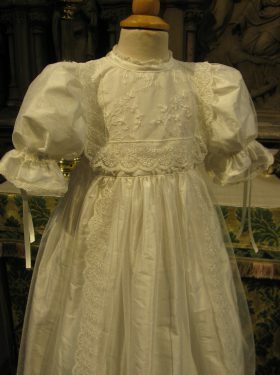 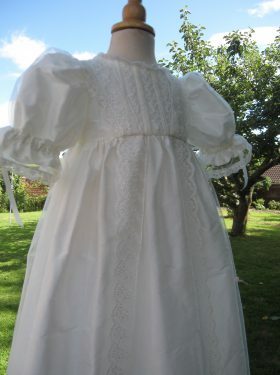 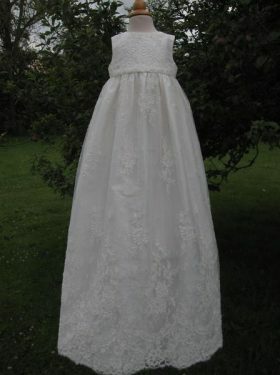 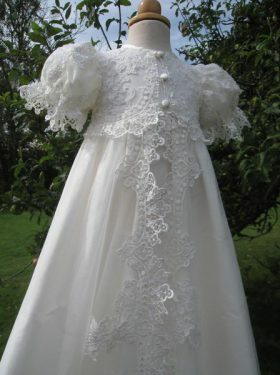 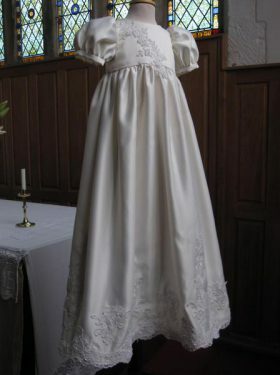 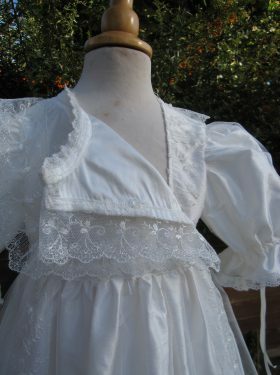 Have a look at the Louise Christening Gown for an example of it beauty. 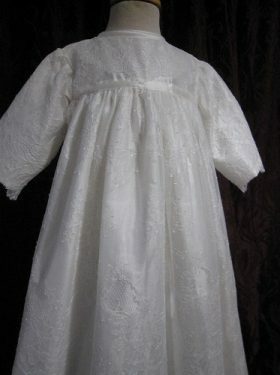 Another silk we offer is silk habotai. 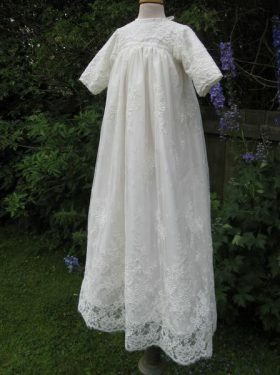 This silk is fine and is suited for floaty designs with two layers as in the Angelina Christening Gown. 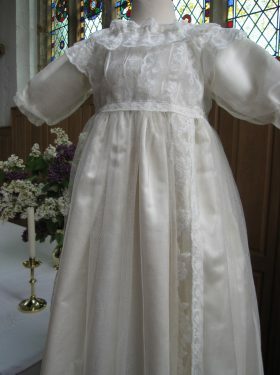 We also create gowns with silk organza and silk tulle over layers for grander styles as in the Mabel Christening Gown.